We are pleased to announce the new whiteriver.net site has been launched! 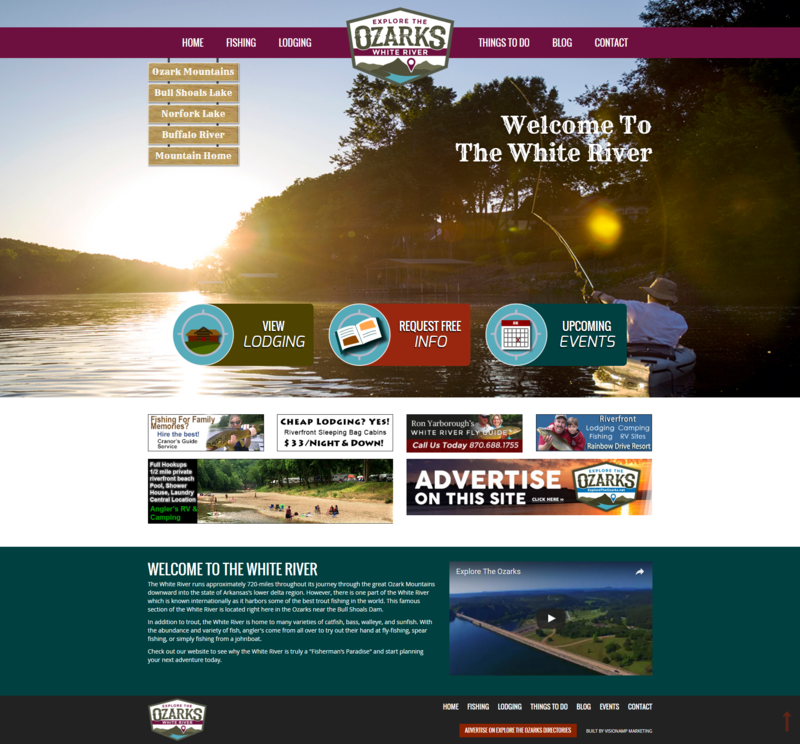 One of the oldest websites in the Ozarks just got a facelift. With all new content and easy to use navigation the new whiteriver.net is sure to give our users a pleasant experience. We are interested in getting additional content from area fisherman, resort owners, or outdoor enthusiast. To showcase your business and help us attract more visitors to our site and ultimately our area, email greg@visionamp.com for more information.